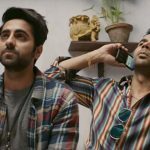 After an average opening, recent Hindi offering Bareilly Ki Barfi picked up well over the weekend and heading steadily in weekdays too. Although this romantic comedy has received mixed reviews from critics due to noneffective script but still successfully entertaining most of the audience. 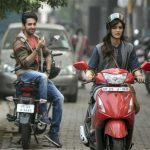 Directed by Ashwiny Iyer Tiwari, Bareilly Ki Barfi stars Kriti Sanon, Ayushmann Khurrana and Rajkummar Rao in lead roles. On the opening day, it recorded low occupancy across the country and did the business of 2.42 crores. On Saturday due to weekend and being based on universal genre that attracts major segment of audience, Junglee Pictures’ presentation witnessed good jump and raked the business of 3.85 crores. On Sunday, with further growth it minted the amount 5.03 crores. After the opening weekend, total collection of Bareilly Ki Barfi was recorded as 11.30 crores which is decent enough. Now it is running in weekdays and asusual getting lesser footfalls in theaters than before. On Monday, the film faced only 21.5% of drop than Friday and added the amount of 1.90 crore to it’s account. Then on Tuesday, it reported slight jump and collected 2 crores. On the next day i.e Wednesday, Kriti-Ayushmann-Rajkummar starrer minted 1.65 crore with 18.5% of drop than previous day. With this, total collection of Bareilly Ki Barfi after 6 days of release has become 17.07 crores at domestic box office. It seems to collect around 18.50 crores in the first week.